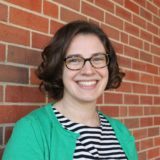 Katie began working as the Admissions Director in 2017. Prior to joining Covenant she was a stay at home mom for 6 years. Professionally, she worked as the middle school science and math teacher at West Dallas Community School, and then upon moving to PA, she worked in a Leukemia research lab at the Penn State Hershey Medical Center. Katie studied Biology and Religious Studies at Southern Methodist University. Some of her hobbies include running, reading books with her 2 daughters, and going on nature hikes. She loves musicals, farm show milkshakes, Aldi, Sara Groves, science and nature, and 80’s/90’s music. Katie attends West Shore Evangelical Free Church with her husband, Jay, and their children.